Hello there! 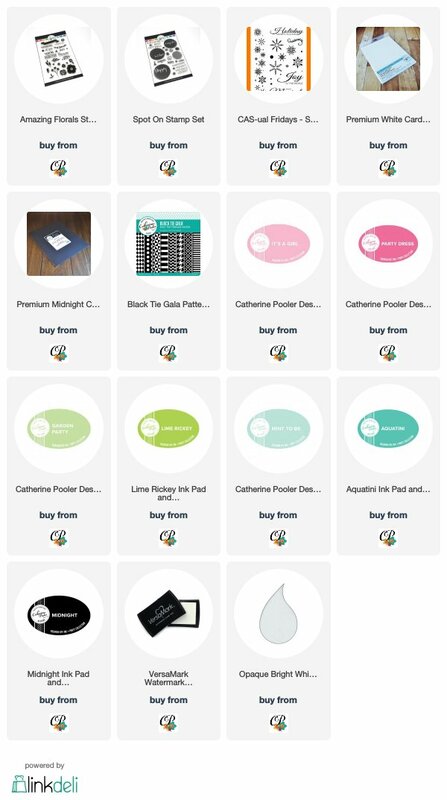 I'm a little late to the party but I wanted you all to know that there is a Back to the Basics sale and video series going on over at Catherine Pooler Designs! 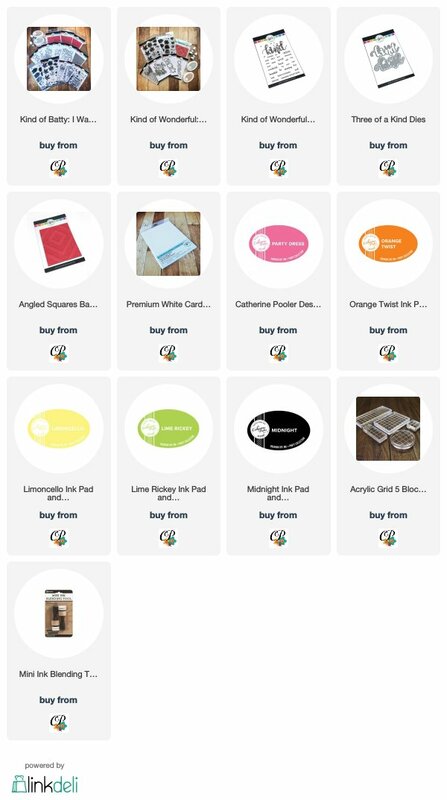 These products were specifically chosen to show that you don't need to use a tons of products to make beautiful cards. I went back to the basics on my cards today. I didn't use any fancy techniques, just simple stamping. A card like this one takes minutes to make. 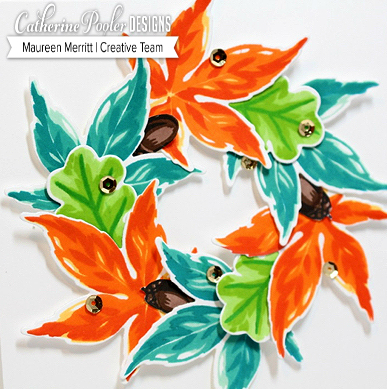 Change out the colors and images for different seasons! 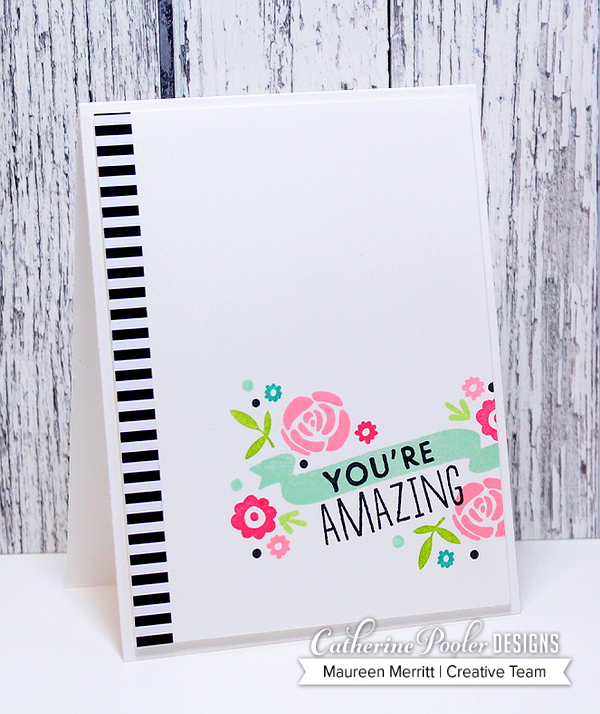 I used the Amazing Florals stamp set and paired it with just a strip of Black Tie Gala patterned paper to make it pop. Using the same products with the Addition of the Spot On stamp set, I made another card. While you have your supplies out, you may as well just go ahead and make another card right? 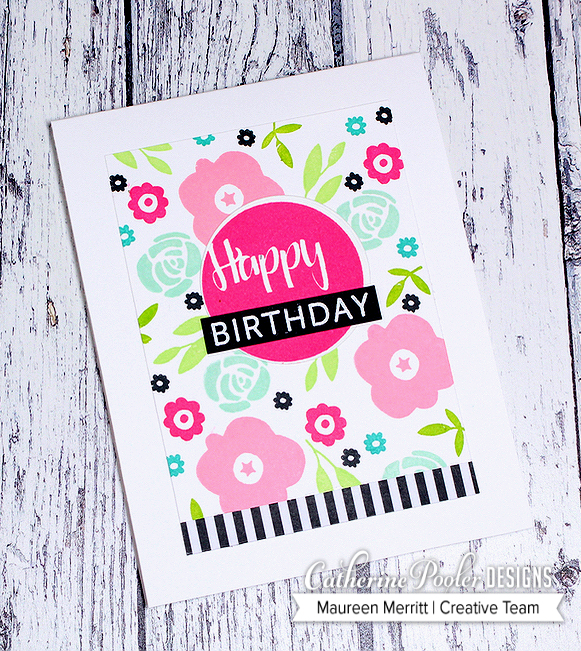 I just love using floral stamp sets to stamp backgrounds on my cards! 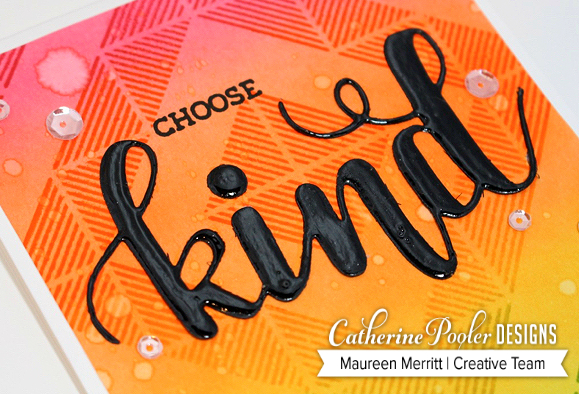 If you are new to stamping, you'll want to check out Catherine's video series. She's covering all of the basics! Hello my friends! 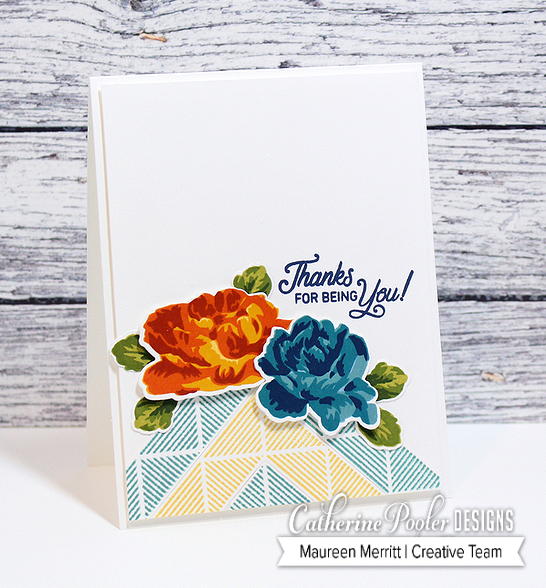 I'm back today with another card featuring the newly released products from Catherine Pooler Designs. Again, I'm using the Angled Square Background, this time as is, and I've paired it with the Kind of Wonderful stamps and dies. To create my background, I stamped the Angled Square Background with Party Dress, Orange Twist, Limoncello and Lime Rickey inks onto white card stock. Then I sponged over the stamped image for a tone on tone look and flicked some water for added interest. Next I die cut the Kind die and covered it with Glossy Accents. Once dry, I added it to the stamped & sponged background and stamped the "Choose" sentiment. "Choose Kind" reminds me of the movie Wonder, by far the best movie I've seen in a long time. It has such a strong, important message. If you haven't seen it, you definitely should and if you have kids, they should watch it with you. I hope you enjoyed my project today! Make sure you head on over to the store to see what is new! Welcome to Day 1 of the Kind of Batty release blog hops for Catherine Pooler Designs. Today new stamps, dies, and ink hit the store. The Creative Team will be sharing projects introducing you to the new products over the next few days. You can see all of the new products here. 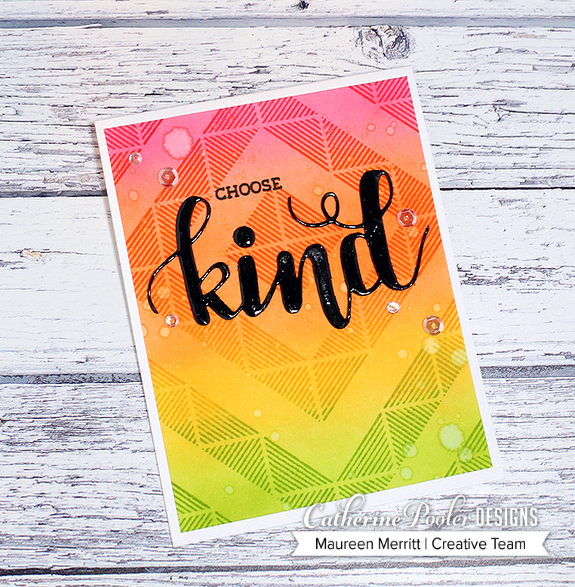 I have two cards to share with you today featuring the two new layering stamp sets. 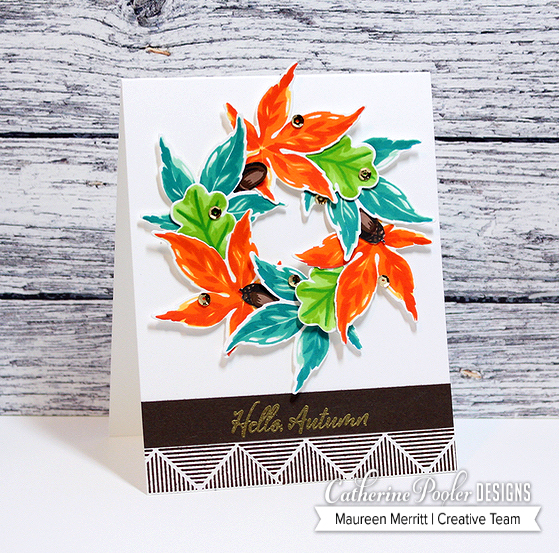 The Hello Autumn stamp set is just gorgeous. My eye is so drawn to layering stamp sets, they truly bring images to life for me. 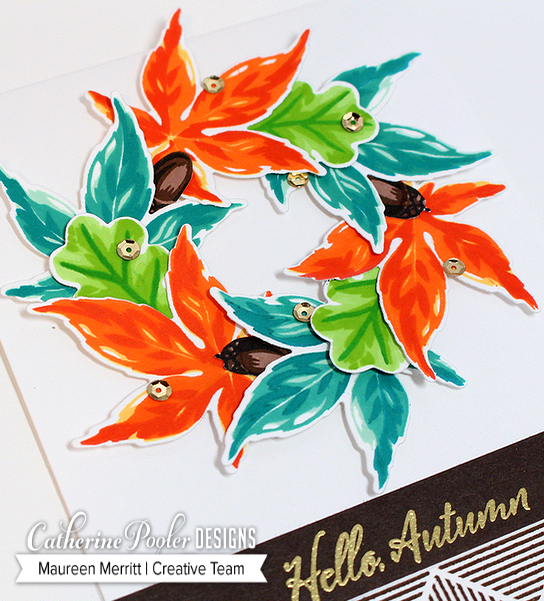 The leaves are so life-like and perfect for Autumnal cards and projects. I can't wait to stamp them in reds, oranges and yellow too! Today I have used them to make a wreath, a big non-traditional in the color choice, but gorgeous nonetheless. The stamp set includes 4 layers for each image, but I chose to just use 3 on this project. I have really enjoyed manipulating the Angled Square Background, cutting it apart and using pieces in different ways. Here I use the Angled Square Background to make a simple border along the edge of my card. 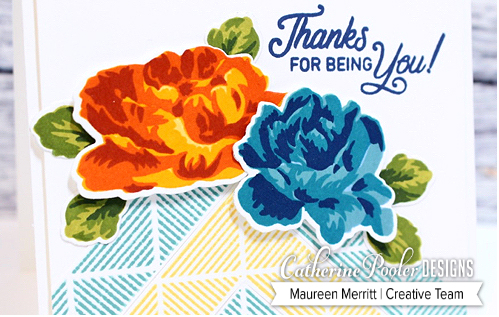 Another gorgeous layering stamp set. This time I went with a more muted color combo and used colors from the Spa Collection. Again I've used the Angled Square Background to make a fun border. I love finding new ways to use products in my stash! It's time to hop along now! Leave comments along the way to be entered to win one of 3 $25 gift certifications that are up for grabs. Click here to shop all of the NEW products!